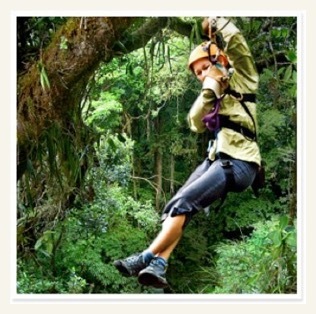 Explore the rainforest of Costa Rica from bottom to top! Explorations Inc is pleased to introduce this new natural history tour. 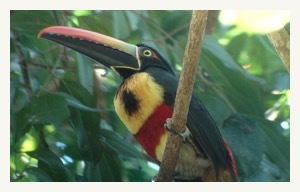 It highlights the beauty of several Costa Rican forest ecosystems in ways not available just a few years ago. New facilities for exploring the forest canopy are now allowing us to take a much closer (and safer) look at the forest, complete from bottom to top! Not only is the scenery and flora spectacular, the locations also provide excellent wildlife viewing. Airport reception upon arrival in San Jose and transfer to the Hotel Irazú. This large resort hotel has its own shopping mall, tennis courts, swimming pool and sauna, casino, restaurants and bars. It also has daily minibus shuttle to the downtown area if your flight times permit exploring the city. The is a free day for relaxation, beach activities, or nearby optional tours which may be arranged at the hotel’s tour desk. 1. Another day exploring the canopy and jungle with a visit to the new Rainmaker Reserve and Canopy Walkway. 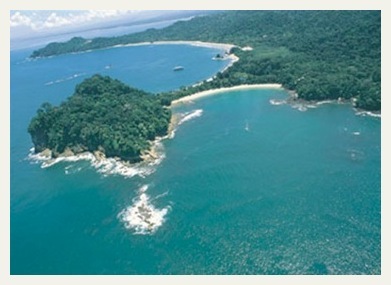 (www.rainmakercostarica.com) The Rainmaker Conservation Project is a privately owned Rainforest Reserve that spans over 1530 acres of 90% virgin rainforest. 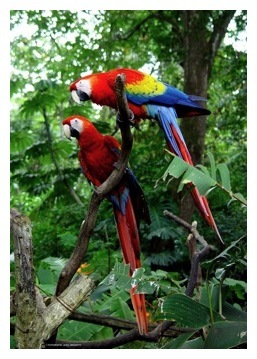 It is a biodiversity bank for 70% of all the flora and fauna species found in Costa Rica. This project is dedicated to the conservation and protection of the Fila Chonta mountain range on Costa Rica's pacific side. Rainmaker's unique location places it within the strategic Quepoa Biological corridor. 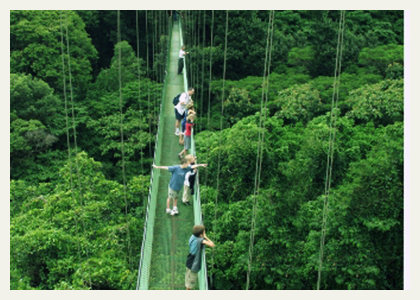 The Rainmaker Canopy Walk consists of a suspension bridge system, built to U.S. engineering standards. 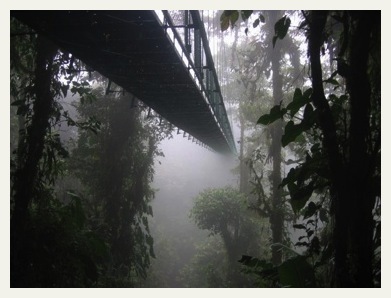 The six sections total 250 meters, spanning from platforms attached to massive hardwood trees to create the most impressive Canopy Walk in Costa Rica. The design permits minimal forest impact, giving our participants an opportunity to explore the majesty of the forest canopy from a bird's eye view. The guided River Walk tour begins with hike along the Rio Seco's edge. Hand rails and easy to follow footpaths along with observation platforms allow you to observe waterfalls and capture, with photographs, the rich biodiversity this unique site has to offer. Rainmaker is home to Morpho butterflies, varieties of birds, the colorful poison dart frog, and thousands of unique plant species. Depending on the time of year, visitors are also afforded sightings of incredible reptiles and other animals that make there way down to the water. At the end of the walk a pristine waterfall pool will beckon you to enjoy a refreshing dip. 2. A day exploring and relaxing at the Manuel Antonio National Park. The park is famous for its secluded white sandy beaches, forested-backed rocky coves, nature trails and it is home to huge iguanas, white-faced monkeys and colorful birdlife. The 3,000 acres of the reserve are often considered some of the most beautiful the country. Time for nature walks, swimming, snorkeling before returning to Jacó Beach. 3. 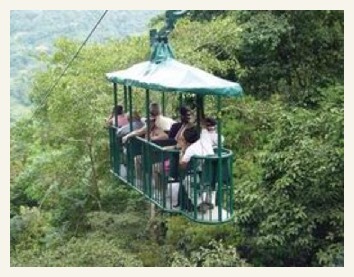 An exciting half-day tour for the adventurous to the Waterfalls Canopy. Their Canopy Tour consists of 13 platforms, 7 zip lines, a Tarzan Swing, a 3 story tree house, suspension bridges and a 90 foot rappel. 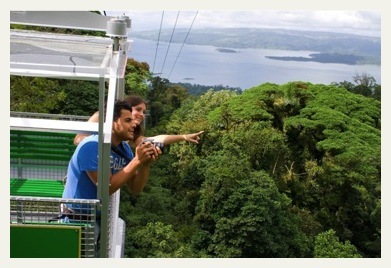 While zipping over cables as high up as 100 foot above the ground, you get a bird's eye view of the rainforest canopy! Onsite nature walks in transitional rainforest and agro-forest areas teach about the 18 varieties of fruit trees, leafcutter ants, bamboo, royal palms, teakwood, the strangler fig and many other trees and plants. They also have a Butterfly Garden and a large 60 X 80 ft enclosure, where you have the chance to appreciate over 30 different species of colorful butterflies and a variety of frogs and toads. We specialize in customizing itineraries for individuals and groups.